Is it just me, or was the double elimination a total shocker! There was definitely an obvious “loser”, but the 2nd to last was really open to anyone! An absolute scandal in my opinion. This week really divided the gang and showed who is really in the running for the top prize. Enough speculating, though, let's get on to the challenges! If you're feeling slightly less adventurous, you could take a page from Deborah's pre-GBSB makes book and make a simple fitted Bustier, like Burda 6970. The possibilities for fabrics are almost endless with corsets or bustiers. We saw the team go for a lot of Jacquard and Brocade fabrics which really embrace a classic corset look, VERY Dita Von Teese. Of course there's always a classic Satin, a Duchess Satin would really hold the structure well, or embrace the contrasting textures of a Crepe or Dupion. On a slightly more practical note, how fun did those eyelet machines look?! Might ask our Managing Director for one for “research” purposes...but until then there's always the Prym Vario pliers which I spotted a few of the girlies using. 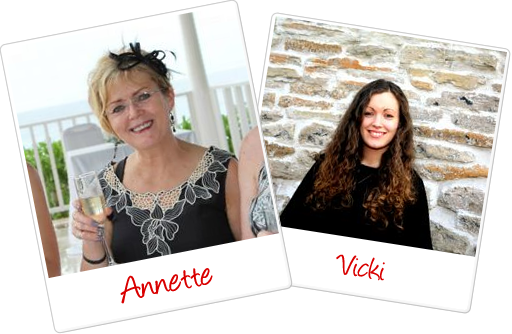 They're equally as fun to be honest and one of Vicki's favourite's here at Minerva! We've got eyelets for every occasion here, though I'm swaying towards the Prym as I sense they'll create a smoother finish. Now if the judges comments to Ryan have taught us anything it's that everything is in the finishing so be sure to get a good Bias Binding! I spotted Amanda using some coloured tailor's chalk to mark her pieces, which I highly recommend to save confusion with so many pattern pieces! This week's make do and mend nearly made me weep, those poor power suits! Though I'm sure anyone who actually had to wear one was fist pumping the air. Once again Neil blew us away with his adaptation, but something I noticed was Paul making a feature of an exposed zip. I recently made a Simple Sew Skater Dress from our Faux Leather Fabric (check out the Clothing Weight for corset inspiration!) and utilised a Metal Tooth Zip as a feature and it really adds a roughty toughty edge to it! If you fancy something 80's inspired look at our Bi-Stretch fabric. The colours are simply amazing, you could really create a feature piece, like a jacket, that would stand out a mile in the best way and look truly fantastic – shoulder pads are optional! Yet another challenge that's close to my heart this week – Kilts! Having spent most of my life parading in a Kilt in a Pipe Band, and being a proud Scot by blood, it really made me happy to see the dedication and effort that went into this week's big challenge. I can also tell you keeping pleats in a kilt is as difficult as putting them there in the first place! Patrick's attention to the sway of the kilt really emphasized what makes it so special, and the structure around the waist creating the striking silhouette. Once again, as with the corsets, the fabric is key to this! We have a simply stunning amount of Tartan, Plaid and Check fabrics and we're really spoilt for choice! If you're inspired by Lorna and Neil's traditional take, try a Clan Tartan, or Deborah's lovely purple heavy wool blend kilt (we only have very limited stocks of this colour left now though). Amanda went slightly more the fashion route with a gorgeous red plaid, or jump all in with Matt's fashion tartan with these bad boys! Wrap it all up (get it? Wrap..kilt..shh!) with Kilt Pins, Kilt Straps, and Buckles. My Pattern of the week is very much inspired by Deborah, Burda 7000 (sadly now out of stock, but be sure to check out the rest of the Burda Top range!) is a selection of bustiers, great for your first try at a structured top, and View C has a brilliant collar, reminiscent of her make-do-and-mend alteration (that jacket was very Moschino Couture). Next week sounds like a great power ballads party is happening when the cameras stop rolling as we have Lace, Leather, and Rubber! It's yet another interesting combination. We'd all do anything for sewing, but would we do that? See you next week Crafters! p.s. If you're interested in the “Military Stripe” pleat that Neil and Lorna were discussing, it's a pleating technique usually used by the military, bands etc., where instead of pleating the fabric to replicate the tartan design (making the rear look like the front), the vertical stripes are used as the markers so the rear is a series of stripes, almost enhancing the pleat, and the front apron is the place where the tartan is visible. A cheeky google search will show plenty of examples! This week’s sewing bee certainly had a lot of Razzmatazz! I watched this episode with subtitles and there is nothing funnier than seeing that word written down on the Beeb. Now I was particular giddy about this episode as it combines my two passions; Sewing and Vintage! Christian Dior’s ‘New Look’ was certainly that, and it kicked the austerity of post-war Britain out with a bang! Full circle skirts and lavish fabrics defined this period and saw a revival in 80’s fashion, and how could we forget the popularity of the 70’s film ‘Grease’?! (We were all Pink Ladies or T-Birds at one point weren’t we!). So our team tackled the new silhouette with the most popular sewing pattern of the fifties, and in Butterick’s history – The Walkaway Dress! As we saw the pattern has three basic pieces – The Front, the Upper rear and the Skirt. The dress goes over your head in what can only be described as a tabard-fashion and then the front piece is wrapped around and fastened at the back forming a shift dress. Then, the rear piece is brought round and fastened at the front, creating a full skirt. So as you can see the front becomes the back and the back becomes the front and we all get confused as to exactly what part of the dress the pattern is trying to point out. I, out of pure coincidence, am currently making this dress and all joking aside, the dress itself is terribly simple and it is truly a joy to make! What is fabulous about the dress is its simplicity; that a few darts completely defines the shape and the binding creating a neat, professional edge. Though its simplicity will be the downfall to many! Get the simple bits wrong and it all falls apart so you need to approach it like any other project and build a good foundation to build on. What I loved with this dress is the fun you can have with fabric! I got very giddy at this as I know we have a great range of Vintage style fabrics, from Dots to Florals you can get lost in the vintage dream! I opted for our Mini-Stripe Seersucker fabric for the main part of the dress as the texture of it really adds to the body of the dress (for yardage I’d recommend using the 45” allowances – learn from my error!). You can then use plain poplin fabric for the contrast (I’m using the polycotton but I plan to wear my dress with a slip!). Another thing to do would be to make a feature of the binding by using a plain fabric throughout (option B) and using one of our splendid Bias Binding (I am biased though!... don’t judge me, that joke is fantastic and I know you all laughed!). Why not co-ordinate a gingham or a fruity print? Once you’ve mastered this pattern and fancy a challenge, or if dresses aren’t really your thing, take a look at Eliza M patterns. Vintage silhouettes with modern techniques and they’re simply divine. I’m personally a fan of the Hop and Swing pants! (We can vouch that our fabrics look great with her patterns as most of the samples made for the promotion images were made up with Minerva's fabrics!). Of course the vintage fun doesn’t stop there as many pattern companies are reprinted their old patterns, so take a look at our huge vintage style pattern collection. I’ve got a lovely 1940s suit in the pipe line. Now this week’s second challenge was really down my street! A true make-do-and-mend; using old curtains! Now everyone uses this as an insult, but I’m sure my mum spends more on curtains in our house than I EVER have on a dress so if someone says this to me I can only take it as a compliment. I know the ones featured were certainly lovely! I was particular fan of Lorna’s Wrap Skirt in this challenge, as were the judges as she finally won! Though we can’t deny that Neil’s ability to make an evening dress is nothing short of amazing and of course Paul‘s razzmatazz (we can confirm that that is indeed a technical term). I loved the high-low hem, but I am known for my love of the mullet skirt. If you fancy a challenge, have a good old rummage through our fabric remnants. Pick up something fun and just see where your imagination takes you! If I had to sum up this week in a pattern, it would definitely be Burda 7109 - Vintage Style 50's Night Gown & Pyjamas. A little nod to Lorna, this pattern has a lovely sleeved camisole top in which can be made in almost any fabric! You can be as daring or as safe as you like, and create a delicate garment whilst channel the vintage vibe from this week. Be sure to get in touch if you make anything featured in this, or any of our Sewing Bee posts! We genuinely love to hear from you and it makes us office lot smile seeing our fabrics made up. Next week is all about structure! Rigid Corsetry, Sturdy Kilts and the Larger than Life 80s! I’m certainly looking forward to that combination! Wow wee – what a bee! This week’s episode was certainly a tough one, seeing the gang tackle tiny person clothing. It’s certainly interesting to see how much construction goes into making children’s clothing, I’ll have to thank/apologise to my mum for all the things I made her make for me when I was younger! The first challenge was a child’s waistcoat, lots of detailing to get right; welt pockets, buttons holes, the works! But let’s start with what makes us all giddy; the fabric! We saw a simply gorgeous range of wool fabrics used for the fronts of the waistcoat, in particular some lovely checks. We have a lovely selection here, and this one in particular reminded me of Ryan's superb waistcoat, our Elgin Polyester & Wool Blend fabric in green and red. Some of the contestants were less brave/crazy when choosing their fabrics and went for something a little more subtle, not dissimilar to our Camel Brown Tweed or a fully plain fabric. Equally as important are the satins! Now I have to gush, I love our satin fabric range. Using a crepe or a Dupion, you could really utilise the contrast in texture and create a lovely, unique finish. Then last, but certainly not least, is the lining fabric. As soon as they said “waistcoats” I IMMEDIATELY thought of our Jacquard lining fabrics, particularly the Paisley lining. So if you’re as inspired as we are, follow these links for our waistcoat patterns! This pattern is particularly lovely for little tots, and is currently half price on sale at £3.63! Now then, the final challenge was the costumes, and o my goodness how great they were. So bright and colourful ! One of our best sellers is our felt fabric and we saw some great uses this week, particularly with Ryan’s fox costume. It fills me with great excitement to share this with you all, but something we noticed was that there is a pattern for this! Simplicity 1477 is a Fox and Racoon jacket pattern which is perfect for replicating this design! Again, so much talk in the office about this pattern. A few are learning to scale up patterns so they can have grown up versions! Simplicity also have a pattern for animal onesies! If you really want to channel this joy but don’t fancy walking around essentially dressed as a fox, check out Burda 6828 which features some great ‘novelty’ animal bags, employing much the same ideas as the jacket. There was obviously a clear winner when it came to the final product, but the ideas everyone had were all of such a high standard! I’ve done a run-down of some of the featured products to hopefully inspire you channel your inner child and to make some truly great costumes! Boning was heavily featured, particularly in Matt’s peacock. Buckram stiffener was integral to Alex’s cupcake case. Toy Stuffing worked really well for Neela’s bookwork and Paul’s elephant. And our Bridal Appliques will really work well if you’re inspired by Amanda’s flapper girl. Don’t forget the shoulder pads! As for the fabrics; Metallic fabric for Anna’s cupcake case, and our Tulle fabric, particularly the Crystal, would be perfect for the frosting! So much fleece fabric was used across the board; Paul’s elephant, Ryan’s fox, Neela’s bookworm, I could go on! It’s easy to see why, you can get some amazingly bright colours and prints and it’s great to work with as it doesn’t fray! Felt also featured heavily for much the same reasons! Lorna’s boobee featured some lovely Fur Fabric and our Scuba fabric would be great for those leggings! If you’re looking to really show off, why not channel Deborah and go for a big peacock with our Peacock feather cotton lawn fabric and peacock feathers! I’ve popped a few links below to our children’s costumes, too, to keep you inspired! Next week we see the group tackle a vintage style, and sheer fabric! We’re all anxious about that one, I can’t wait to see how it goes! During a recent browse of the Minerva website, I came across this gorgeous tartan jersey fabric. As soon as I saw it, I knew that my daughter Jess would love it as it features tartan, but it is not a standard tartan fabric which is in all of the shops, it is something a bit different, exactly what Jess would love! I showed the fabric to Jess, she also loved it and immediately asked me to make her a jacket in this. (Its unfortunately since sold out, but you can find many other check patterned jersey fabrics here). Knowing that I am a beginner having not tackled a jacket before, I thought this would be a good challenge! Jess wanted a casual jacket so she set about looking through the pattern books and chose this ‘easy’ pattern from ‘Kwik Sew’, opting for the long sleeve version. Having chosen the fabric, pattern and got my cotton, I was excited to start this new challenge! Sewing for my daughter brings challenges of its own. She is a head strong 15 year old with her own personal sense of style, who will not wear anything that she does not love! Hence, many projects made but not worn (and many clothes bought and not worn) ... no pressure! The very same night, I set about cutting out the pattern. I measured Jess and opted for the smallest size (XS) but she asked me to make it shorter. I measured where she wanted the hem of the jacket (26.5 inches) and after looking at the measurements on the pattern (31.5 inches), I knew that I needed to take 5 inches off the length. I decided to cut the pattern to the actual length (in case I wanted to make it again in the future) and then cut the jacket down to the desired length later. The paper which this pattern is made from is much stronger than the usual tissue paper and it made it much easier to cut. I enjoyed working with this pattern for a change. I decided to wait until the following day to carry on as I did not want to attempt this and make any mistakes due to being tired! The following day, I laid my fabric out and got all of the pieces which I needed to cut on the fold. The tartan of the fabric brought even more challenges! As I have mentioned before, my mum Annette is a sewing enthusiast and seen within our family as an expert! This is great and I have my very own mentor but I am also aware of her extremely high standards and I need to work towards these. Whilst this has seen us over the years examining every seam, hem and pattern matching when buying shop items that very rarely match up to mums standards, it has installed into me the need for perfection which I am trying to bring into my work ... matching a tartan fabric up on the seams whilst also ensuring that the ‘stripes’ of the fabric stay straight. With this in mind, I checked that the ‘lines’ of the tartan matched when it was folded. Next, I laid my pattern out, pinned the back along the fold and then put the piece for the two front next to the back; again making sure that the back and front pieces were lined up to ensure that the tartan checks were lined up to give me a chance of matching them on the seam when sewing the fronts to the back. Once I was happy that I had lined up the pieces and the checks, I set about cutting out the two fronts and the back. I always use a good quality pair of scissors which cut through the fabric with ease, avoiding damaging the fabric in any way. I carried on and cut out all of the pieces, following the pattern’s recommendations until I had all of the pieces cut out. I then made sure that I had snipped all of the pieces as showed on the pattern (darts) to help match the pieces up, ensuring that they are in the correct place when they are sewn together. What I forgot to mention was that I usually have my mum on hand to help when I need it or provide any advice but my mum was out so I was all on my own, tackling a jacket! I thought that mum would have been back by the time that I had cut the jacket out but she wasn’t. I was in two minds; should I start it ... but what if I did something wrong? Or should I wait but how long would mum be? I decided to be brave and start it! I set the sewing machine up and knew that I needed to use a stretch stitch to sew jersey ... but I couldn't remember which stitch setting this was!! I got some cut offs of the fabric and had a play with the two stitch settings that I was choosing between. I knew the feel of the stretch stitch as the machine seems to sew ‘forwards and backwards’ as it moves along rather than just sewing forwards as with a normal stitch. To double check that this was the correct stitch, once I had sewed the length, I gave a gentle tug on the stitching to make sure that it did not break. I read the pattern instructions, pinned the shoulders together and sewed them. Quite proud of my work, I admired the seams as I pressed them open and then laid the first part of my jacket out (inside out of course!). I again checked that the tartan was lined up! Next, the pattern said to fit the sleeves into place. The thought which went through my head was ‘Eeeeek’ .... ‘Should I wait for my mum?’ I told myself to ‘get a grip’ and have a go ... I can always unpick it if I go wrong. I have fit sleeves before but with my mum watching me and pointing me in the right direction. I remembered what mum had told me and laid my sleeves along the armhole area of the front and back. I lined up the darts which I had snipped and pinned the sleeves into place. Nervously, I sat at the sewing machine and started to sew the sleeves in place, constantly checking that the darts were lined up. I also made sure that the pressed hem from the shoulder seam remained open and ‘flat’ to make sure that it didn’t pucker when I sewed over the seam. Once I had sewed both in place, I sat back and admired my work! I ‘tried the jacket on’ so far to see if I could get the effect and I was sure that Jess would love it ... but as I am sure many of you, especially with teenage daughters, are aware ... you never can tell until they start to wear it – if she wears it, she approves, otherwise it is ‘lost’ in the wardrobe!!! Now to sew the side and arm seams up ... definite ‘eeek’, this is where I needed to make sure that I had got the sides lined up neatly! I pinned the fronts to the backs checking the line up of the tartan and then the arm sleeves – I tried to line up the tarten as much as possible but this isn’t totally possible due to the shaping of the sleeve. Looking at the inside of the seams, I have done very well but when I turned the pieces the right way around, the lining up isn’t as successful but nevertheless, I still think that it is better that some seams in some shop bought items! I know that you can always improve and I hope that with more practice, I will get better but I am proud of my pattern matching. And here is Jess wearing the finished jacket! Just a quick post today. I noticed our most popular selling sewing pattern at the moment is New Look 6217. I actually made the casual jacket up in this last year I think it was. I can completely understand why so many of you are loving this pattern - I highly recommend it too. It's quick. It's easy. And you get good results for everyday kind of clothing. It can also be a really versatile pattern - depending on the fabrics you choose you can keep it casual or make clothes that would take you into evening wear. Imagine that jacket in a drapey sequinned fabric. Its also great value for money. The pattern includes the pieces to make the top, jacket, skirt and trousers for just £5.95. So you could look at it as if you are paying just £1.49 per pattern! And even better than that, New Look patterns are half price for a limited time, so you can pick up this pattern now for just £2.98! Here's a picture of the jacket I made last year. I used our Black & Grey Knitted Ponte Fabric (Now out of stock but be sure to look at our other Ponte Fabric!). It look me no time at all. My ‘One Hour’ Project – Warm Winter Hat! As the winter weather is well and truly here, I decided to knit my son a warm winter hat. After looking at the different wools, I saw a gorgeous steel grey colour in Wendy Pampas (shade 2215) mega chunky wool which has 30% wool content. I searched through the Wendy Pampas patterns and saw a perfect pattern featuring a hat and scarf. Being 11, he will not wear a scarf but when it is freezing, he will give in and wear a hat! You could use any super-chunky hat pattern though that suits the person you are knitting for. This pattern knit up on 12mm needles, so check that on the pattern you choose. I noticed there was a free hat pattern put on the Minerva blog yesterday, so you could even use this. I knew that this hat wouldn’t take me long and I planned to make it in one night. I sat down to watch a Christmas special of ‘Don’t tell the Bride’ and cast on. I knit the rib and then continued in stocking stitch until I had to start the shaping. The shaping of the crown was different to any other hat I had made before; it consisted of knitting two stitches together in both the front and the back of the stitches as directed. It made it more interesting to complete but I had to make sure that I concentrated so that I didn’t knit two stitches together wrongly. There were only seven rows of shaping before I was left with eight stitches that I had to thread the yarn through and pull tightly to shape the actual crown. I was amazed I was still watching ‘Don’t tell the Bride’ and all that was left was the sewing up!! So far it had taken me less than 45 minutes ... not bad going! I had chosen to use a different needle to sew it up then my usual; they are by Pony and have a larger eye which was ideal for sewing up mega chunky wool. I threaded the eye of the needle and due to the thickness of the two edges together; I sewed one loop from each edge/half the final stitch as I thought that if I used the full stitch the seam would be too bulky. I am extremely happy with the final result. The crown looks very effective and the hat feels extremely warm! Knit and sewn up in less than one hour, plus I have half of the ball left, I may even get another hat from the same ball. Excellent ideas for quick and easy birthday presents! I am going to wrap this up for my son as a surprise... hence why my daughter is modelling it in the picture! We have four free knitting patterns to share with you today. The patterns have been designed by the fabulous Sylecraft design team and feature patterns for a Beret, Fingerless Gloves, a Snood and Welly Cuffs. These are all quick and easy makes that a beginner could tackle, or the more experienced knitter could start and finish in an evening. The yarn used for this pattern is the Stylecraft Swift Knit Stripes. This is a new yarn from the winter collection and was designed to continue the success of the original Swift Knit yarn launched previously. Without further ado, here are your four free patterns. If you decide to make any of these please send us some pictures of the finished pieces, I would love to see them! If you would like to knit these in the yarn as shown in the pictures above, you can find the Swift Knit Stripes yarn here. If you would prefer a plainer yarn you can always opt for the regular Swift Knit yarn which comes in some really yummy shades! Just recently saw this fab make over on Instagram, and the maker diannebowles kindly let me share it with you! Thanks so much for letting us share this project Dianne, I look forward to seeing many more of your makes on instagram in the future. Competition Time! Win yourself a sewing kit from the Minerva Crafts Blogger Network! A little while ago I was introduced to Naomi Abramowicz, also known as 'naomimolly' on instagram. Naomi describes herself in brief as a Stockholm sewist with a closet bursting with me-made dresses! Now, I've only been a follower of Naomi's instagram account for probably a couple of months now, but boy it is impressive how many dresses she has made in this time, so I well believe her closet is bursting with fabulous makes! "Another top tip for my ladies living in the UK/Europe: I'm not sponsored at all to say this but if you're looking for a cozy and snuggly high quality knit I can warmly recommend @minervacrafts John Kaldor wool viscose blend jersey. I've got it in almost every colour (what can I say? If I love something I truly love it!) and they're superb (for keen followers - the purple Moneta and the charcoal gray one are both made from John Kaldor wool jersey). I got the navy version in the post today and I'm already dreaming up a winter dress! #sewcialists"
And shortly after there was another post from Naomi of her wearing the very same fabric! Doesn't this dress look fantastic! Soon after there was another post of a dress using another of our Jerseys from the John Kaldor range. This time it was the Roanne viscose jersey in the beautiful amethyst-purple shade. Thanks for letting us share these pictures Naomi, looking forward to see what you make next!